Thank you. (Applause.) Thank you very much. Everybody, please have a seat, and welcome to the White House. It is an extraordinary pleasure to be here with all of you to present this year’s Medals of Freedom. And I have to say, just looking around the room, this is a packed house, which is a testament to how cool this group is. (Laughter.) Everybody wanted to check them out. This is the highest civilian honor this country can bestow, which is ironic, because nobody sets out to win it. No one ever picks up a guitar, or fights a disease, or starts a movement, thinking, “You know what, if I keep this up, in 2012, I could get a medal in the White House from a guy named Barack Obama.” (Laughter.) That wasn’t in the plan. But that’s exactly what makes this award so special. Every one of today’s honorees is blessed with an extraordinary amount of talent. All of them are driven. But, yes, we could fill this room many times over with people who are talented and driven. What sets these men and women apart is the incredible impact they have had on so many people — not in short, blinding bursts, but steadily, over the course of a lifetime. Together, the honorees on this stage, and the ones who couldn’t be here, have moved us with their words; they have inspired us with their actions. They’ve enriched our lives and they’ve changed our lives for the better. Some of them are household names; others have labored quietly out of the public eye. Most of them may never fully appreciate the difference they’ve made or the influence that they’ve had, but that’s where our job comes in. It’s our job to help let them know how extraordinary their impact has been on our lives. And so today we present this amazing group with one more accolade for a life well led, and that’s the Presidential Medal of Freedom. So I’m going to take an opportunity — I hope you guys don’t mind — to brag about each of you, starting with Madeleine Albright. Usually, Madeleine does the talking. (Laughter.) Once in a while, she lets her jewelry do the talking. (Laughter.) When Saddam Hussein called her a “snake,” she wore a serpent on her lapel — (laughter) — the next time she visited Baghdad. When Slobodan Milosevic referred to her as a “goat,” a new pin appeared in her collection. As the first woman to serve as America’s top diplomat, Madeleine’s courage and toughness helped bring peace to the Balkans and paved the way for progress in some of the most unstable corners of the world. And as an immigrant herself — the granddaughter of Holocaust victims who fled her native Czechoslovakia as a child — Madeleine brought a unique perspective to the job. This is one of my favorite stories. Once, at a naturalization ceremony, an Ethiopian man came up to her and said, “Only in America can a refugee meet the Secretary of State.” And she replied, “Only in America can a refugee become the Secretary of State.” (Laughter.) We’re extraordinarily honored to have Madeleine here. And obviously, I think it’s fair to say I speak for one of your successors who is so appreciative of the work you did and the path that you laid. It was a scorching hot day in 1963, and Mississippi was on the verge of a massacre. The funeral procession for Medgar Evers had just disbanded, and a group of marchers was throwing rocks at a line of equally defiant and heavily-armed policemen. And suddenly, a white man in shirtsleeves, hands raised, walked towards the protestors and talked them into going home peacefully. And that man was John Doar. He was the face of the Justice Department in the South. He was proof that the federal government was listening. And over the years, John escorted James Meredith to the University of Mississippi. He walked alongside the Selma-to-Montgomery March. He laid the groundwork for the Civil Rights Act of 1964 and the Voting Rights Act of 1965. In the words of John Lewis, “He gave [civil rights workers] a reason not to give up on those in power.” And he did it by never giving up on them. And I think it’s fair to say that I might not be here had it not been for his work. In the 1960s, more than 2 million people died from smallpox every year. Just over a decade later, that number was zero — 2 million to zero, thanks, in part, to Dr. Bill Foege. As a young medical missionary working in Nigeria, Bill helped develop a vaccination strategy that would later be used to eliminate smallpox from the face of the Earth. And when that war was won, he moved on to other diseases, always trying to figure out what works. In one remote Nigerian village, after vaccinating 2,000 people in a single day, Bill asked the local chief how he had gotten so many people to show up. And the chief explained that he had told everyone to come see — to “come to the village and see the tallest man in the world.” (Laughter.) Today, that world owes that really tall man a great debt of gratitude. words, “Godspeed, John Glenn.” The first American to orbit the Earth, John Glenn became a hero in every sense of the word, but he didn’t stop there serving his country. As a senator, he found new ways to make a difference. And on his second trip into space at age 77, he defied the odds once again. But he reminds everybody, don’t tell him he’s lived a historic life. He says, “Are living.” He’ll say, “Don’t put it in the past tense.” He’s still got a lot of stuff going on. Gordon Hirabayashi knew what it was like to stand alone. As a student at the University of Washington, Gordon was one of only three Japanese Americans to defy the executive order that forced thousands of families to leave their homes, their jobs, and their civil rights behind and move to internment camps during World War II. He took his case all the way to the Supreme Court, and he lost. And it would be another 40 years before that decision was reversed, giving Asian Americans everywhere a small measure of justice. In Gordon’s words, “It takes a crisis to tell us that unless citizens are willing to standup for the [Constitution], it’s not worth the paper it’s written on.” And this country is better off because of citizens like him who are willing to stand up. Growing up in Georgia in the late 1800s, Juliette Gordon Low was not exactly typical. She flew airplanes. She went swimming. She experimented with electricity for fun. (Laughter.) And she recognized early on that in order to keep up with the changing times, women would have to be prepared. So at age 52, after meeting the founder of the Boy Scouts in England, Juliette came home and called her cousin and said, “I’ve got something for the girls of Savannah, and all of America, and all the world. And we’re going to start it tonight!” A century later, almost 60 million Girl Scouts have gained leadership skills and self-confidence through the organization that she founded. They include CEOs, astronauts, my own Secretary of State. And from the very beginning, they have also included girls of different races and faiths and abilities, just the way that Juliette would have wanted it. Toni Morrison — she is used to a little distraction. As a single mother working at a publishing company by day, she would carve out a little time in the evening to write, often with her two sons pulling on her hair and tugging at her earrings. Once, a baby spit up on her tablet so she wrote around it. (Laughter.) Circumstances may not have been ideal, but the words that came out were magical. Toni Morrison’s prose brings us that kind of moral and emotional intensity that few writers ever attempt. From “Song of Solomon” to “Beloved,” Toni reaches us deeply, using a tone that is lyrical, precise, distinct, and inclusive. She believes that language “arcs toward the place where meaning might lie.” The rest of us are lucky to be following along for the ride. During oral argument, Justice John Paul Stevens often began his line of questioning with a polite, “May I interrupt?” or “May I ask a question?” You can imagine the lawyers would say, “okay” — (laughter) — after which he would, just as politely, force a lawyer to stop dancing around and focus on the most important issues in the case. And that was his signature style: modest, insightful, well-prepared, razor-sharp. He is the third-longest serving Justice in the history of the Court. And Justice Stevens applied, throughout his career, his clear and graceful manner to the defense of individual rights and the rule of law, always favoring a pragmatic solution over an ideological one. Ever humble, he would happily comply when unsuspecting tourists asked him to take their picture in front of the Court. (Laughter.) And at his vacation home in Florida, he was John from Arlington, better known for his world-class bridge game than his world-changing judicial opinions. Even in his final days on the bench, Justice Stevens insisted he was still “learning on the job.” But in the end, we are the ones who have learned from him. Our final honoree is not here — Shimon Peres, the President of Israel, who has done more for the cause of peace in the Middle East than just about anybody alive. I’ll be hosting President Peres for a dinner here at the White House next month, and we’ll be presenting him with his medal and honoring his incredible contributions to the state of Israel and the world at that time. So I’m looking forward to welcoming him. And if it’s all right with you, I will save my best lines about him for that occasion. So these are the recipients of the 2012 Medals of Freedom. And just on a personal note, I had a chance to see everybody in the back. What’s wonderful about these events for me is so many of these people are my heroes individually. I know how they impacted my life. I remember reading “Song of Solomon” when I was a kid and not just trying to figure out how to write, but also how to be and how to think. And I remember in college listening to Bob Dylan and my world opening up because he captured something that — about this country that was so vital. And I think about Dolores Huerta, reading about her when I was starting off as an organizer. Everybody on this stage has marked my life in profound ways. And I was telling — somebody like Pat Summitt — when I think about my two daughters, who are tall and gifted, and knowing that because of folks like Coach Summitt they’re standing up straight and diving after loose balls and feeling confident and strong, then I understand that the impact that these people have had extends beyond me. It will continue for generations to come. What an extraordinary honor to be able to say thank you to all of them for the great work that they have done on behalf of this country and on behalf of the world. MILITARY AIDE: Presidential Medal of Freedom citations: Madeleine Korbel Albright. Madeleine Korbel Albright broke barriers and left an indelible mark on the world as the first female Secretary of State in the United States’ history. Through her consummate diplomacy and steadfast democratic ideals, Secretary Albright advanced peace in the Middle East, nuclear arms control, justice in the Balkans, and human rights around the world. With unwavering leadership and continued engagement with the global community, she continues her noble pursuit of freedom and dignity for all people. MILITARY AIDE: John Doar. As African Americans strove for justice, John Doar led federal efforts to defend equality and enforce civil rights. Risking his life to confront the injustices around him, he prevented a violent riot, obtained convictions for the killings of civil rights activists, and stood by the first African American student at the University of Mississippi on his first day of class. During pivotal moments in the Civil Rights Movement and in the troubled times of the Watergate scandal, John Doar fought to protect the core values of liberty, equality and democracy that have made America a leader among nations. MILITARY AIDE: A distinguished physician and epidemiologist, Bill Foege helped lead a campaign to eradicate smallpox that stands among medicine’s greatest success stories. At the Centers for Disease Control and Prevention, the Carter Center, and the Bill and Melinda Gates Foundation, he has taken on humanity’s most intractable public health challenges from infectious diseases to child survival and development. Bill Foege has driven decades of progress to safeguard the well-being of all, and he has inspired a generation of leaders in the fight for a healthier world. John Glenn has set a peerless example through his service to our nation. As a Marine Corps pilot and the first American to orbit the Earth, he sparked our passions for ingenuity and adventure and lifted humanity’s ambitions into the expanses of space. In the United States Senate, he worked tirelessly to ensure all Americans had the opportunity to reach for limitless dreams. Whether by advancing legislation to limit the spread of nuclear weapons or by becoming the oldest person ever to visit space, John Glenn’s example has moved us all to look to new horizons with drive and optimism. Susan Carnahan, accepting on behalf of her husband Gordon Kiyoshi Hirabayashi. In his open defiance of discrimination against Japanese Americans during World War II, Gordon Kiyoshi Hirabayashi demanded our nation live up to its founding principles. Imprisoned for ignoring curfew and refusing to register for internment camps, he took his case to the Supreme Court, which ruled against him in 1943. Refusing to abandon his belief in an America that stands for fundamental human rights, he pursued justice until his conviction was overturned in 1987. Gordon Hirabayashi’s legacy reminds us that patriotism is rooted not in ethnicity, but in our shared ideals. And his example will forever call on us to defend the liberty of all our citizens. Dolores Clara Fernandez Huerta. One of America’s great labor and civil rights icons, Dolores Clara Fernandez Huerta has devoted her life to advocating for marginalized communities. Alongside Cesar Chavez, she co-founded the United Farm Workers of America and fought to secure basic rights for migrant workers and their families, helping save thousands from neglect and abuse. Dolores Huerta has never lost faith in the power of community organizing, and through the Dolores Huerta Foundation, she continues to train and mentor new activists to walk the streets into history. Adam Daniel Rotfeld, former Polish foreign minister accepting on behalf of Jan Karski. As a young officer in the Polish Underground, Jan Karski was among the first to relay accounts of the Holocaust to the world. A witness to atrocity in the Warsaw Ghetto and the Nazi Izbica transit camp, he repeatedly crossed enemy line to document the face of genocide, and courageously voiced tragic truths all the way to President Roosevelt. Jan Karski illuminated one of the darkest chapters of history, and his heroic intervention on behalf of the innocent will never be forgotten. Richard Platt, accepting on behalf of his great aunt, Juliette Gordon Low. An artist, athlete and trailblazer for America’s daughters, Juliette Gordon Low founded an organization to teach young women self-reliance and resourcefulness. A century later, during the “Year of the Girl,” the Girl Scouts’ more than 3 million members are leaders in their communities and are translating new skills into successful careers. Americans of all backgrounds continue to draw inspiration from Juliette Gordon Low’s remarkable vision, and we celebrate her dedication to empowering girls everywhere. Toni Morrison. The first African American woman to win a Nobel Prize, Toni Morrison is one of our nation’s most distinguished storytellers. She has captivated readers through lyrical prose that depicts the complexities of a people and challenges our concepts of race and gender. Her works are hallmarks of the American literary tradition, and the United States proudly honors her for her nursing of souls and strengthening the character of our union. John Paul Stevens. From the Navy to the bench, John Paul Stevens has devoted himself to service to our nation. After earning a Bronze Star in World War II, Stevens returned home to pursue a career in law. As an attorney, he became a leading practitioner of anti-trust law. And as a Supreme Court Justice, he dedicated his long and distinguished tenure to applying our Constitution with fidelity and independence. His integrity, humility, and steadfast commitment to the rule of law have fortified the noble vision of our nation’s founders. Pat Summitt. Pat Summitt is an unparalleled figure in collegiate sports. Over 38 seasons, she proudly led the University of Tennessee Lady Volunteers to 32 SEC tournament and regular season championships and eight national titles, becoming the all-time winningest coach in NCAA basketball history. On the court, Coach Summitt inspired young women across our country to shoot even higher in pursuit of their dreams. Off the court, she has inspired us all by turning her personal struggle into a public campaign to combat Alzheimer’s disease. Pat Summitt’s strength and character exemplify all that is best about athletics in America. Bob Dylan. A modern-day troubadour, Bob Dylan established himself as one of the most influential musicians of the 20th century. The rich poetry of his lyrics opened up new possibilities for popular song and inspired generations. His melodies have brought ancient traditions into the modern age. More than 50 years after his career began, Bob Dylan remains an eminent voice in our national conversation and around the world. Well, we could not be prouder of all of them. We could not be more grateful to all of them. You have had an impact on all of us, and I know that you will continue to have an impact on all of us. So thank you for being here. Thank you for putting yourself through White House ceremonies — (laughter) — which are always full of all kinds of protocol. These extraordinary honorees come from different backgrounds and different walks of life, but each of them has made a lasting contribution to the life of our Nation. They’ve challenged us, they’ve inspired us, and they’ve made the world a better place. I look forward to recognizing them with this award. From 1997 to 2001, under President William J. Clinton, Albright served as the 64th United States Secretary of State, the first woman to hold that position. During her tenure, she worked to enlarge NATO and helped lead the Alliance’s campaign against terror and ethnic cleansing in the Balkans, pursued peace in the Middle East and Africa, sought to reduce the dangerous spread of nuclear weapons, and was a champion of democracy, human rights, and good governance across the globe. From 1993 to 1997, she was America’s Permanent Representative to the United Nations. Since leaving office, she founded the Albright Stonebridge Group and Albright Capital Management, returned to teaching at Georgetown University, and authored five books. Albright chairs the National Democratic Institute and is President of the Harry S. Truman Scholarship Foundation. Doar was a legendary public servant and leader of federal efforts to protect and enforce civil rights during the 1960s. He served as Assistant Attorney General in charge of the Civil Rights Division of the Department of Justice. In that capacity, he was instrumental during many major civil rights crises, including singlehandedly preventing a riot in Jackson, Mississippi, following the funeral of slain civil rights leader Medgar Evars in 1963. Doar brought notable civil rights cases, including obtaining convictions for the 1964 killings of three civil rights workers in Neshoba County, Mississippi, and leading the effort to enforce the right to vote and implement the Voting Rights Act of 1965. He later served as Special Counsel to the U.S. House Committee on the Judiciary as it investigated the Watergate scandal and considered articles of impeachment against President Nixon. Doar continues to practice law at Doar Rieck Kaley & Mack in New York. One of the most influential American musicians of the 20th century, Dylan released his first album in 1962. Known for his rich and poetic lyrics, his work had considerable influence on the civil rights movement of the 1960s and has had significant impact on American culture over the past five decades. He has won 11 Grammys, including a lifetime achievement award. He was named a Commandeur dans l’Ordre des Art et des Lettres and has received a Pulitzer Prize Special Citation. Dylan was awarded the 2009 National Medal of Arts. He has written more than 600 songs, and his songs have been recorded more than 3,000 times by other artists. He continues recording and touring around the world today. A physician and epidemiologist, Foege helped lead the successful campaign to eradicate smallpox in the 1970s. He was appointed Director of the Centers for Disease Control and Prevention in 1977 and, with colleagues, founded the Task Force for Child Survival in 1984. Foege became Executive Director of The Carter Center in 1986 and continues to serve the organization as a Senior Fellow. He helped shape the global health work of the Bill and Melinda Gates Foundation, and remains a champion of a wide array of issues, including child survival and development, injury prevention, and preventative medicine. Foege’s leadership has contributed significantly to increased awareness and action on global health issues, and his enthusiasm, energy, and effectiveness in these endeavors have inspired a generation of leaders in public health. Glenn is a former United States Marine Corps pilot, astronaut, and United States Senator. In 1962, he was the third American in space and the first American to orbit the Earth. After retiring from the Marine Corps, Glenn was elected to the U.S. Senate in Ohio in 1974. He was an architect and sponsor of the 1978 Nonproliferation Act and served as Chairman of the Senate Government Affairs committee from 1978 until 1995. In 1998, Glenn became the oldest person to visit space at the age of 77. He retired from the Senate in 1999. Glenn is a recipient of the Congressional Gold Medal and the Congressional Space Medal of Honor. Hirabayashi openly defied the forced relocation and internment of Japanese Americans during World War II. As an undergraduate at the University of Washington, he refused the order to report for evacuation to an internment camp, instead turning himself in to the FBI to assert his belief that these practices were racially discriminatory. Consequently, he was convicted by a U.S. Federal District Court in Seattle of defying the exclusion order and violating curfew. Hirabayashi appealed his conviction all the way to the U.S. Supreme Court, which ruled against him in 1943. Following World War II and his time in prison, Hirabayashi obtained his doctoral degree in sociology and became a professor. In 1987, his conviction was overturned by the U.S. Court of Appeals for the Ninth Circuit. Hirabayashi died on January 2, 2012. Huerta is a civil rights, workers, and women’s advocate. With Cesar Chavez, she co-founded the National Farmworkers Association in 1962, which later became the United Farm Workers of America. Huerta has served as a community activist and a political organizer, and was influential in securing the passage of California’s Agricultural Labor Relations Act of 1975, and disability insurance for farmworkers in California. In 2002, she founded the Dolores Huerta Foundation, an organization dedicated to developing community organizers and national leaders. In 1998, President Clinton awarded her the Eleanor Roosevelt Award for Human Rights. Karski served as an officer in the Polish Underground during World War II and carried among the first eye-witness accounts of the Holocaust to the world. He worked as a courier, entering the Warsaw ghetto and the Nazi Izbica transit camp, where he saw first-hand the atrocities occurring under Nazi occupation. Karski later traveled to London to meet with the Polish government-in-exile and with British government officials. He subsequently traveled to the United States and met with President Roosevelt. Karski published Story of a Secret State, earned a Ph.D at Georgetown University, and became a professor at Georgetown’s School of Foreign Service. Born in 1914, Karski became a U.S. citizen in 1954 and died in 2000. 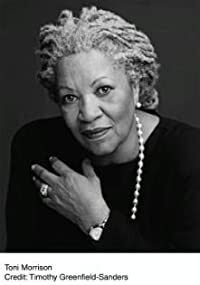 One of our nation’s most celebrated novelists, Morrison is renowned for works such as Song of Solomon , Jazz , and Beloved , for which she won a Pulitzer Prize in 1988. When she became the first African American woman to win a Nobel Prize in 1993, Morrison’s citation captured her as an author “who in novels characterized by visionary force and poetic import, gives life to an essential aspect of American reality.” She created the Princeton Atelier at Princeton University to convene artists and students. Morrison continues to write today. An ardent advocate for Israel’s security and for peace, Shimon Peres was elected the ninth President of Israel in 2007. First elected to the Knesset in 1959, he has served in a variety of positions throughout the Israeli government, including in twelve Cabinets as Foreign Minister, Minister of Defense, and Minister of Transport and Communications. Peres served as Prime Minister from 1984-1986 and 1995-1996. Along with Israeli Prime Minister Yitzhak Rabin and then-PLO Chairman Yasser Arafat, Peres won the 1994 Nobel Peace Prize for his work as Foreign Minister during the Middle East peace talks that led to the Oslo Accords. Through his life and work, he has strengthened the unbreakable bonds between Israel and the United States. Stevens served as an Associate Justice of the U.S. Supreme Court from 1975 to 2010, when he retired as the third longest-serving Justice in the Court’s history. Known for his independent, pragmatic and rigorous approach to judging, Justice Stevens and his work have left a lasting imprint on the law in areas such as civil rights, the First Amendment, the death penalty, administrative law, and the separation of powers. He was nominated to the Supreme Court by President Gerald Ford, and previously served as a judge on the U.S. Court of Appeals for the Seventh Circuit. Stevens is a veteran of World War II, in which he served as a naval intelligence officer and was awarded the Bronze Star. In addition to accomplishing an outstanding career as the all-time winningest leader among all NCAA basketball coaches, Summitt has taken the University of Tennessee to more Final Four appearances than any other coach and has the second best record of NCAA Championships in basketball. She has received numerous awards, including being named Naismith Women’s Collegiate Coach of the Century. Off the court, she has been a spokesperson against Alzheimer’s. The Pat Summitt Foundation will make grants to nonprofits to provide education and awareness, support to patients and families, and research to prevent, cure and ultimately eradicate early onset dementia, Alzheimer’s type.